Beirut: Qatar is starting to lose its regional clout and is being forced to abandon many of its traditional allies throughout the Middle East, due to economic burdens imposed by the nearly fourth-month standoff between Doha and the Quartet. According to Business Insider, Qatar has already consumed $38.5 billion (Dh141.4 billion) of its financial reserves in the months of June-July, or what’s equal to 23 per cent of its GDP. The stock market in Doha lost 15 per cent of its value over the past 100 days, hitting an all-time 52-month low in mid-September 2017. High on the list of losers is Hamas, the Palestinian branch of the Egyptian Muslim Brotherhood, whose leaders have been frequent guests and all-time favourites of Doha under both Emir Tamim Bin Hamad and his father, Hamad Bin Khalifa. Since coming to power in 2013, the current emir gave Hamas leaders unrestricted access to the studios of Al Jazeera TV, supported their shadowy relationship with Iran and financed their wobbly government in Gaza. In October 2014, Shaikh Hamad visited Gaza and was received with red carpets by Hamas Prime Minister Esmail Haniya, becoming the first Arab head of state to do so, donating $400 million to rehabilitate the city’s destroyed infrastructure. For years, Gaza was seen as a private fiefdom for Hamad Bin Khalifa — but not anymore. 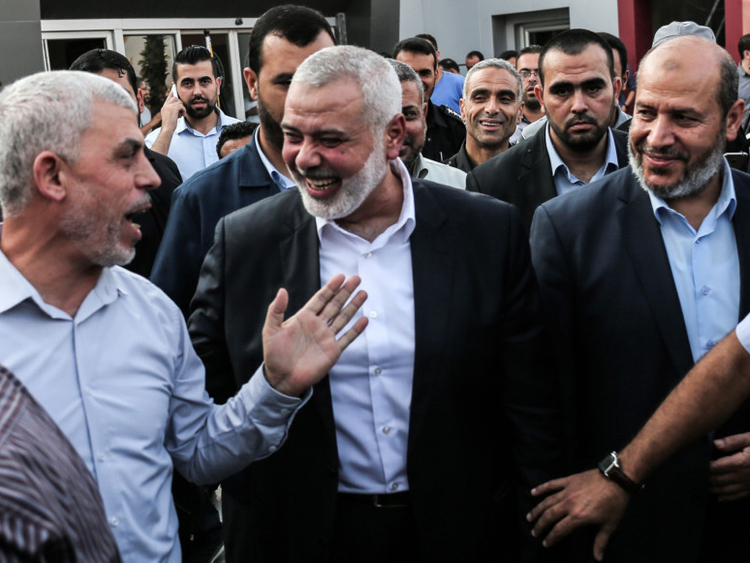 Last May, a meeting was held in Cairo between Gaza’s former security chief Mohammad Dahlan and Yahya Sinwar, the newly elected leader of Hamas. The Qataris were neither invited nor consulted and were left furious with the Cairo resolutions. Dahlan and Sinwar established the Palestinian Joint Liability Committee, aimed at bankrolling thousands of families left in poverty and need by Israel’s repeated attacks on Gaza City. The besieged territory currently accommodates 1.8 million Gazans, 800,000 of whom are below the age of 14. More than 60 per cent of them are both jobless and homeless, due to corruption and nepotism in the ranks of Hamas’ top leadership, where officials have pocketed Qatari funds and left the people in crippling need. The new committee will provide $50,000 to each household, under the watchful eye of the Egyptian Government. President Abdul Fattah Al Sissi is carefully and quickly overtaking Qatar’s Palestinian fiefdom, determined to put an end to the Muslim Brotherhood’s grip over Gaza. In addition to supervising the fund, Egypt is brokering a political comeback for Mohammad Dahlan, a ranking member of Fateh and former aide to Palestinian President Yasser Arafat — somebody who the Palestinians trust and have known for years. If Egypt eventually re-opens the Rafah Border, elevating the suffering of millions in Gaza, Qatar will lose all of its influence there. During his speech at the UN General Assembly last week, Emir Tamim made no reference to Palestine or the suffering of the people of Gaza — which he used to be extremely vocal about. Iran, meanwhile, is seeking to capitalise on Qatar’s growing regional isolation in order to mend fences with Hamas — who cut ties with Tehran and Syria during the Arab Spring years. Elsewhere in the Arab World, Qatar is being squeezed out of all countries where it had tried to establish a sphere of influence since the mid-1990s. In the Syria war, Qatar was left out of the de-conflict zones agreement reached by Russia, Iran, and Turkey in Astana last May. 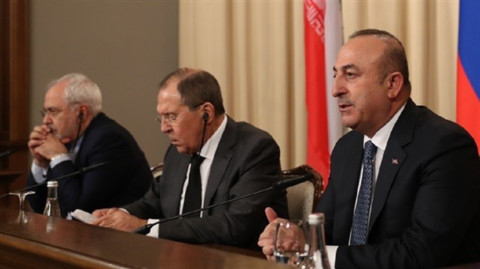 The three countries divided their share of the Syrian cake among themselves, giving the Russians most of western Syria, maintaining Iranian pockets in the Syrian heartland, and recently giving Turkey the right to police Idlib in the Syrian northwest, and rid it of Al Qaida influence. Despite having invested around $3 billion on funding Syrian rebel groups — as reported by the Financial times — Qatar has emerged as one of the biggest losers in Syria. It will also be excluded from an upcoming Syrian opposition conference in Riyadh. In Iraq, Qatar has also been squeezed out as Riyadh has taken the lead by mending broken fences with ranking Shiite clerics who were once on the payroll of Iran — Qatar’s main ally in Arab politics. 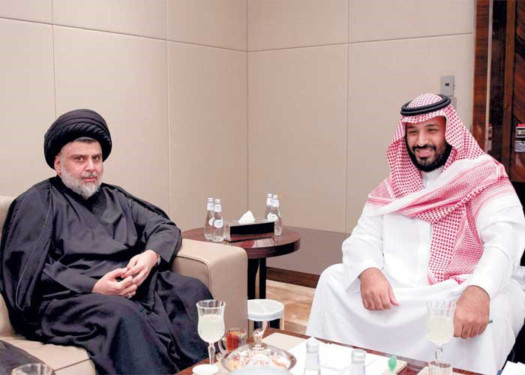 This summer, the Saudis played host to powerful Shiite cleric Muqtada Al Sadr and opened up to Ammar Al Hakim, who parted ways with the Iran-funded Supreme Islamic Council and set up the more nuanced and less sectarian National Wisdom Movement. Both he and Sadr will run for the forthcoming Iraqi parliamentary elections next April — independent of both Qatar and Iran. And finally in Lebanon, Qatar lost all of its cards in late 2016, when Saudi Arabia’s trusted ally — Sa’ad Hariri — returned to the Lebanese premiership — without the consent of Doha. The Qataris had tried hard to embed themselves in Lebanese domestics through Hezbollah — hosting a high-profile conference in Doha in 2008, aimed at resolving a military standoff between Iran’s proxies and those of Saudi Arabia. 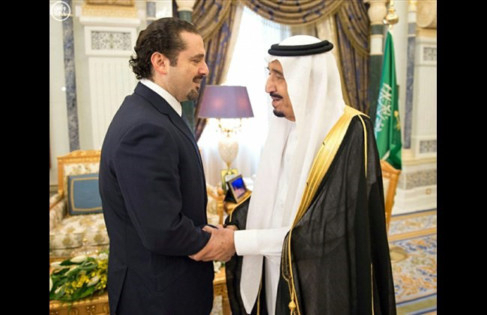 Hamad visited south Lebanon in 2010, and was both received and protected by the military command of Hezbollah, assured that he had secured a permanent influence for himself in Lebanon. Those billboards have now been torn down and so is any trace of Qatari influence in Lebanese politics, thanks to Saudi Arabia. As Qatar loses influence throughout the region, other countries throughout the world are taking notice and parting ways with the tiny and now toothless country, realising that the age of unlimited funding is over. Mauritania, Chad, and Niger have already severed relations with Doha, while Libya accuses Qatar of bankrolling Al Qaida in Sirte. Even Djibouti has downgraded its diplomatic relations with Qatar, prompting Tamim Bin Hamad to withdraw his peacekeeping forces from a disputed border between Eretria and Djibouti.